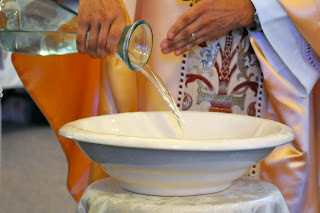 Sunday was a very special day. 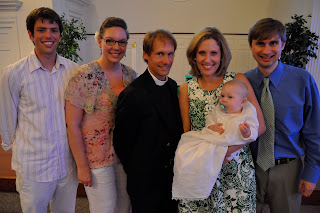 Not only was it Father's day...but Bennett's baptism as well. Bennett's baptism was held at King of Glory Anglican Church in Waco. The Godparents and Parents saying our vows on behalf of Bennett. ...and the River Jordan, which Breck's parents picked up on a recent trip to Israel. It was very special for us - especially because our family could not be there at the baptism. 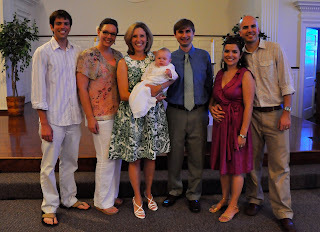 Many of our friends in Waco were able to attend Bennett's Baptism. It was so wonderful to have them there. Passing the Peace. This sweet guy just loved on Bennett. Such a delight to experience! Matt and Emily are some of our best friends. They came all the way from L.A. to here for Bennett's big day. Bennett's God parents (Matt and Emily), Breck, Bennett, Brian and Oliver's Godparents (Laura and Brian). Oliver didn't want to be in any pictures - or the service. He was too busy playing. This cake was made by our good friend Joy (wife of one of Brian's PhD classmates). It was incredibly special to us as it had the meaning of Bennett's name (Blessed Little One) circling around it, along with a beautiful fondant cross placed on top. It was just as wonderful to eat as it was to look at - and was a sweet ending end to a meaningful ceremony. looks and sounds like a wonderful day! This is so sweet. 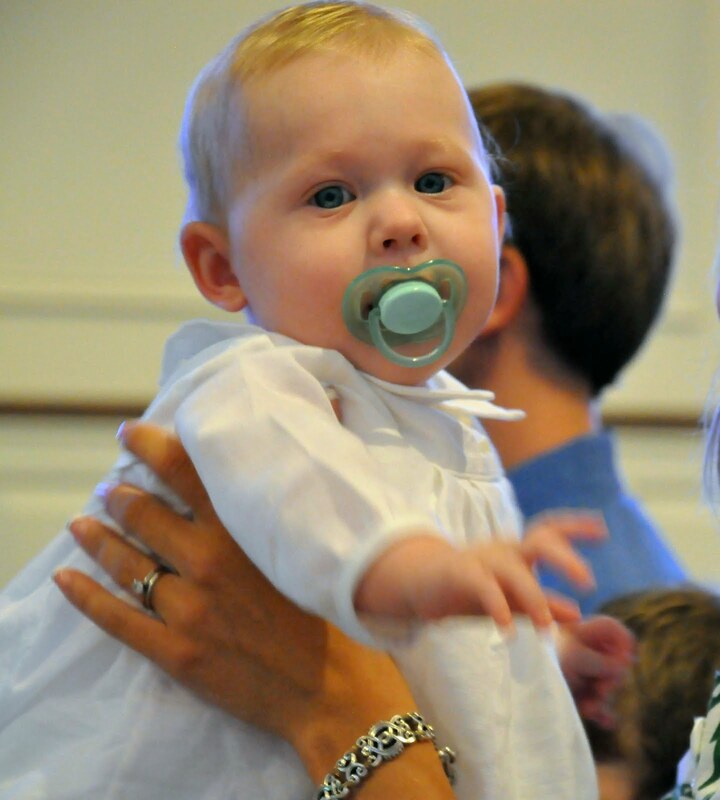 We aren't doing infant baptism for Daniel in hopes he chooses it during childhood/adulthood, so I know his photos from baptism are not going to be nearly this sweet! And what a lovely chance to hang out with the Mabrey's!